Right between Shiraz and Isfahan lies the city of Abadeh. 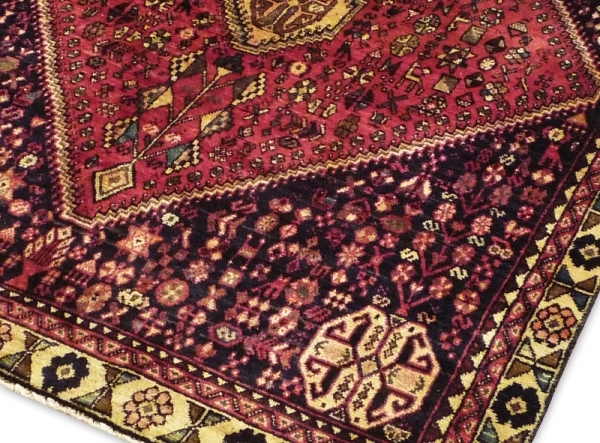 To a visitor it does not offer much but, carpets of good quality are manufactured in this city. 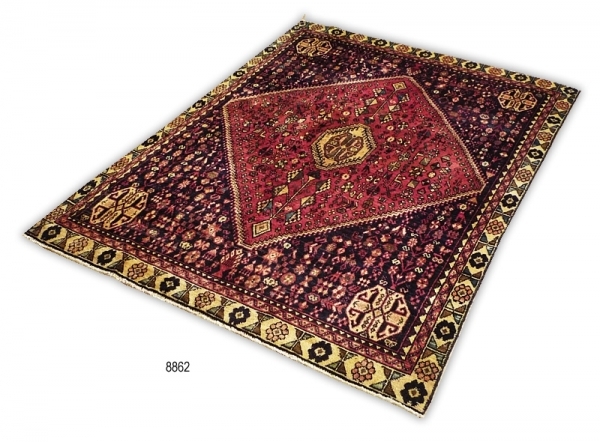 Abadeh carpets usually have a large hexagon in the middle with a bow or a medallion and at the corners. The field is covered with small images of birds, four-legged animals together with trees and flowers. They are good utility carpets since they are very firm, and durable.